The City of Winnipeg is engaging in a budget consultation process for the 2015-17 Operating Budget and the 2015-2020 Capital Budget. Our Budget, Forward will provide citizens with an opportunity to share their values, priorities, and needs about City services, programs and projects in order to provide direction and guidance that will initiate the drafting of the operating and capital budgets. You can participate by attending a Budget Talk, hosting your own conversation, contributing online, or by visiting the Talk Truck around the city. Find out more about the various ways to participate. Members of The Canadian CED Network – Manitoba have passed many policy resolutions in support of Community Economic Development that could be implemented by the City of Winnipeg. As explained in a recent blog post, several of these policy resolutions have been included in Taking Back the City: The Alternative Municipal Budget Winnipeg 2014. You are encouraged to read over this document and use it as a tool to shape the input you provide to the City's consultation process. The Canadian Centre for Policy Alternatives – Manitoba and the Social Planning Council of Winnipeg are hosting three community meetings that will help feed into the City of Winnipeg’s 2015 Budget consultations. 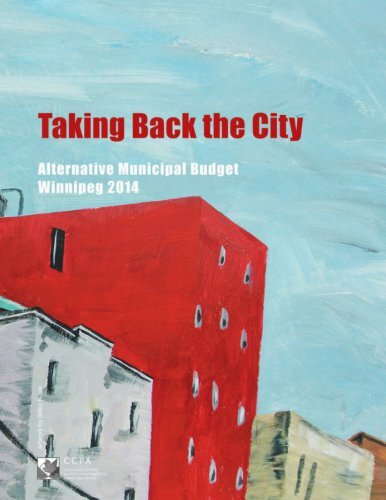 There will be a discussion of Taking Back the City: The Alternative Municipal Budget Winnipeg 2014, a document that proposes alternatives to spending and revenue, while addressing issues of community concern, like public transportation, recreation, planning and development, affordable housing, and green space, just to name a few. Learn about Winnipeg’s Budget: Where is money collected and spent, how are decisions made, and how does Winnipeg compare to other cities? Understand community issues and alternatives: How can we raise revenue and spend money to achieve a more equitable, healthy city? Discuss what is important to Winnipeggers: What are critical issues in your communities? How can we all engage in budgets and civic decision-making?